LandInvestors.com › Forums › **Ask A Question** › What % do you offer properties without legal access? There’s a subdivision I’ve got a few tentative deals in, but the parcels might not have legal access. They’re not landlocked, but have the possibility to be in the future. Properties are slow moving priced at $1-$5k/acre out there, but those are ones without potential access problems. What type of price would be your max? I’ve got a 5 and 10 acre I’m looking at. I’m thinking $3kish per 5 acres? That sound about right? Not sure if there’s a good rule of thumb? 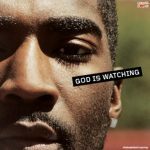 Shammgod – Looks like you have it figured out. If comps are going for $1K per acre, then your 5 acre comp is $5K and $3K should get it sold quickly. Other variables are to be considered. I have found that with vacant desert property, the closer to a major city, the faster it sells. People want to be away from the city, but not too far away. There is not a good rule of thumb. Just get good comps and try to get a feel for the market. Prices are different everywhere. Take your time on the first few and get the process down. You will be killing it in no time. Shammgod – buying at $3K with comps at $5K for 5 acres seems like a narrow margin to me. I recently offered $200 per acre in a county where a lot of the land is going for $1000 per acre. I had some offers accepted. 20% rule in this case. You want to always plan to double your money until you get into higher value properties. Another way to look at it – If you buy at $3K can you sell for $6K? This might work if comps are at $10k – $12K. That $6K price will look great to any potential buyer. Even at $8K comps the $6K will look good. Had a number of deals without access come up, so figured maybe I’d this question a different way. Let’s say a property is worth $10k. You’re used to paying $3k for the property in that area. If it didn’t have road access, but you could get to it-would you still be paying $3k? If not, how much lower would you go in this general example? In my experience, it varies by area, but I use the following as a rule of thumb. Obviously, the distance from the nearest road, the local market and a handfull of other factors may come into play, but I use the above and divide the value of dirt road properties by two when I get lazy. You should look around at similar (size) properties in the same area with different access scenarios (sometimes there isn’t enough data at the county level so looking at the region is more helpful to compare market prices for different access or utility scenarios). I now pass on properties with no access because they require more work to sell. More tire kickers per buyer – I got flooded with people who saw very cheap prices and wasted my time because they were reaching beyond what they could afford or didn’t take the time to read the property description. If there is a well traveled road or legal access, I’ll still consider buying, but these can be more hassle to sell too. Best of luck with the buy/sell and pricing decision.